Dr. Rayees Afzal Mir is Associate Professor (Forestry), Glocal School of Agriculture Sciences. Dr Rayees Afzal Mir did his Masters in Forestry and Ph.D Forestry from Department of Forest Botany, Forest Research Institute University (FRIU), Dehradun, India. 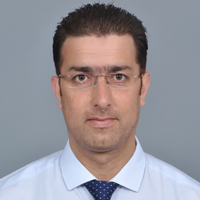 He was recipient of Indian Council of Forestry Research and Education (ICFRE) fellowship from 2008 to 2012.Dr Mir has many National and international Research Publication with 3 years of teaching experience as Associate Professor in Forestry .